STI has released the newest and boldest beadlock wheel yet - the STI HD5 Beadlock. 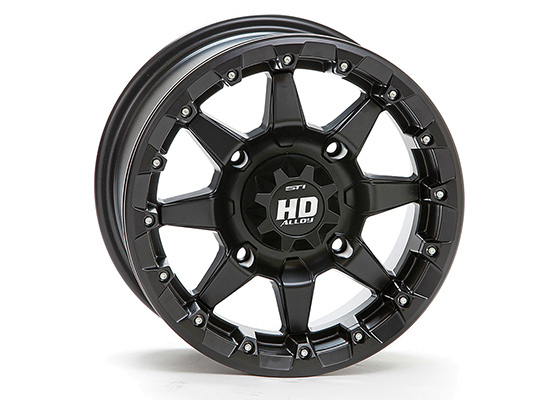 With its striking new style and beefed up beadlock hardware, the new HD5 Beadlock wheels are designed to deliver the ultimate combination of strength and style for today's high-performance heavyweight UTVs! 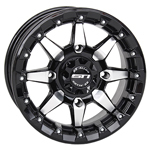 ** The 5+2 offset wheel (+30mm) keeps the factory stance width and offset close to most Polaris OE specifications. The 5+2 offset is also recommended for Sportsman 550/850 XP machines, RZR 900 and RZR 1000 machines to keep the original factory stance width and same splash protection. 14x9 rear wheels are typically used for sand applications with wide rear tires. 14" wheels bead hardware should be torqued to 12-13 ft*lbs or 144-156 in*lbs. Wheels are sold individually. Center cap included. Color rings sold separately.